Manjula Vijayakumar passes away !. 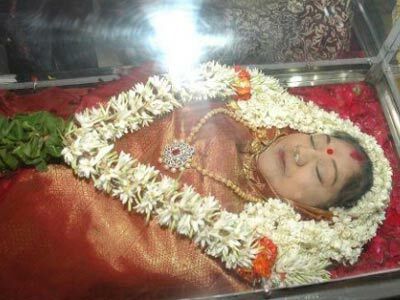 Actress Manjula Vijayakumar (59) has died of ill health on July 23. She is survived by her actor-husband, three daughters Vanitha, Preetha and Sridevi and step son Arun Vijay. and Kannada and she has debuted with Shanthi Nilayam in 1969 in a supporting role. She played the leading lady alongside MGR in Rickshawkaran. The actress acted alongside top stars of all the film industries 70’s and 80’s. She later played character roles. She has recently attended Singam 2 special show in which her husband Vijayakumar also played a role. We at Zustcinema convey our deepest condolences and strength to Vijayakumar and his family members.